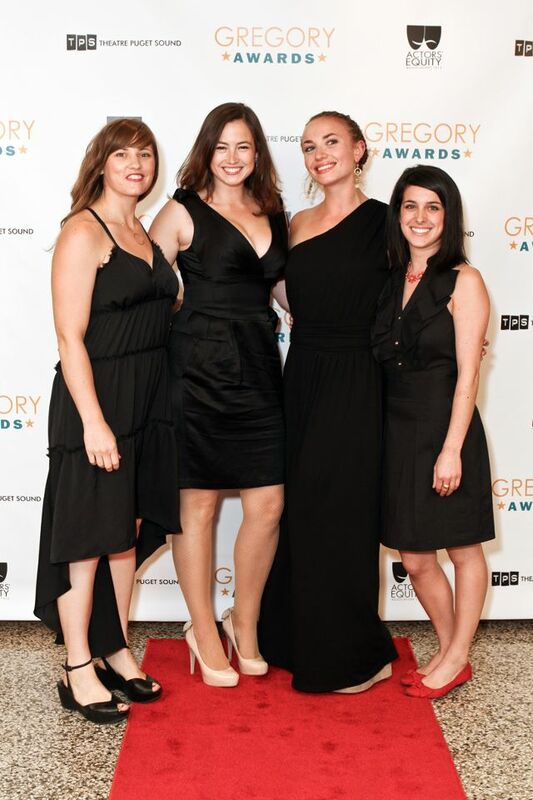 Since this summer I have been working with The Gregory Awards [The Puget Sound Theatre Awards] as their Social Media Manager. I have been a Facebooking, Tweeting, Tumbling, Cross-Posting, Content Creating Artist. Artist may be a bit of a stretch. BUT there is Art in Advertisement, in Publicity, in Social Media. A creation of a persona, a purpose for each website maintained. It’s not me. It’s the Gregory Awards. That’s acting right? It has given me a lot of opportunity to connect with local artists, to check out websites I normally wouldn’t have found, to write. To write, A LOT. It’s been an artistic adventure guiding people from one website to the next until they found themselves at ACT on October 17, 2011 for the real deal. I only hope the real live people who followed [are following] us are as excited about how this year’s Gregory Awards went and are even more excited for what next year has to offer as we all are. Hope you enjoyed it Tw’orld! I’ve enjoyed being a part of creating it for you!